Nancy Skidmore practices in the areas of land use and real estate development, with substantial experience across the full spectrum of land use matters. Her practice includes regulatory infrastructure issues related to public utilities, especially natural gas utilities. With an in-depth knowledge of the development process, Nancy frequently handles zoning ordinance and redevelopment plan amendment, site plan, subdivision and related permit approvals for mid-to-large scale residential, commercial and industrial projects. Regular representation of developers before planning boards, zoning boards and municipal governing bodies throughout New Jersey is a hallmark of Nancy’s practice. This counsel frequently entails extensive interaction with municipal, county and state representatives and agencies, involving a deep understanding of the state regulatory scheme, including regulations on affordable housing. 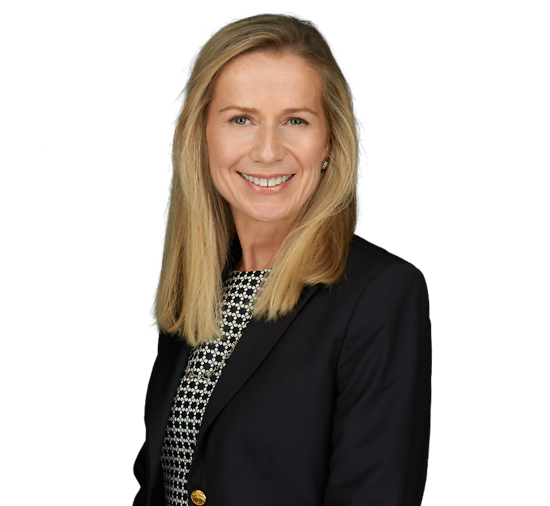 In addition, Nancy counsels clients regarding real estate valuation issues and has represented property owners before county tax boards and the New Jersey Tax Court. She also represents litigants before state and federal courts in complex litigation matters encompassing redevelopment and land use matters. Nancy also provides strategic counsel on urban redevelopment projects, representing developers in the application, negotiation and implementation of tax abatements and financial agreements under New Jersey’s Long Term Tax Exemption Law and Five Year Exemption and Abatement Law. In addition, she advises developers on compliance issues under the state’s Urban Enterprise Zones Act. Over the course of her career, Nancy has obtained both short term and long term tax exemption approvals and tax agreements for redevelopment projects amounting to millions of dollars in tax savings for her developer clients. Prior to joining Connell Foley in 2007, Nancy practiced land use law as a partner at another northern New Jersey law firm. Successful representation of a national residential developer with regard to zoning changes and site plan approval for large scale, high-density, high-rise, mixed-use redevelopment project with over 900 residential units, over 40,000 square feet of commercial space, a theater and a public plaza. The rulings, in Hudson County Superior Court in New Jersey, were appealed and confirmed on all material issues in the Appellate Division. Representation of a public utility with regard to some of the first compressed natural gas fueling stations open to the public in New Jersey. Representation of a developer in connection with site plan approvals for a large-scale, high-rise, high-density, mixed-use redevelopment project comprising in excess of 1,825 units, 36,000 square feet of commercial space, a pedestrian plaza and ancillary parking. Representation of large scale residential and mixed-use urban redevelopment projects ranging in size in excess of $500 million to obtain approvals for long term tax exemptions and financial agreements, resulting in tens of millions of dollars in tax savings. Representation of wastewater management, propane distribution and natural gas public utility companies with regard to storage, service and distribution facilities throughout New Jersey. Representation of commercial and residential developers in New Jersey Superior Court on litigated approvals under the state’s Municipal Land Use Law, Local Redevelopment and Housing Law and Long Term Tax Exemption Law. Representation of a developer in connection with site plan and subdivision approvals for a transit village comprising in excess of 1,800 residential units, over 100,000 square feet of neighborhood commercial space, a waterfront walkway and various amenities.